If your yard has not been cleaned within the past 2 weeks then it will probably require an initial cleaning. Our rates for initial cleanings can be found under residential rates. If an initial cleaning is not required we will count the first visit as a regular cleaning. Also, please take note of our service agreement at the very bottom of this page. It goes over how we respond to holidays, snow days, billing, etc. You can also access the service agreement here. After submitting this form you will receive a confirmation email from us once we have you scheduled. Please check your Spam/Junk mail folder as sometimes our emails get filtered into there. 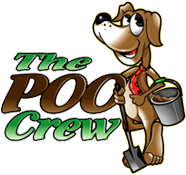 A quick rule of thumb- The average adult dog poops two times per day at a minimum which is approximately 14 plus piles of poo per week. A puppy poops a minimum of four times per day, which is approximately 28 piles of poo by the end of the week. Any additional information you would like to tell us about your dogs, gate, house, etc. Do you have a lock on your gate that we need the code for? Do you live in a gated community that you will need to call the gate to give us access to your house? By clicking submit below I know that I am signing up for service and not inquiring about price. Pricing can be found under the Services link at the top of this website.